While there are numerous possibilities for health problems to arise, the issue of poor digestion is often overlooked. If your digestive system is not functioning properly, and there is a great chance that this is the case, then your body will have a tough time absorbing vitamins and nutrients. Along with these nutrient deficiencies may also come health issues like fatigue, skin disorders, emotional instability, and a whole host of other problems. In order to avoid these health issues, you need to know how to help improve the functions of the digestive system. There are entire texts which focus on the topic of digestion and how your body breaks down and utilizes nutrients. Considered by some experts to be the ’2nd brain’, the human digestive system goes through extremely complex processes and even has the ability to produce neurotransmitters. In addition, this system possesses an advanced communication network similar to that of a human brain. While the research concerning digestion is still in the early stages, we know that keeping functions of the digestive system strong is crucial for optimal health. So how do we help the digestive system to be strong? Chew Your Food and Eat Slowly – An extremely basic eating principle, chewing your food and eating slowly is essential to maintain digestive health. While digestion may seem like it starts once you swallow, the entire process actually starts in your mouth when enzymes from the salivary glands help to chemically break down food molecules into a absorbable size for your body. It is recommended to chew each bite of food at least 20 times, and don’t rush the process. 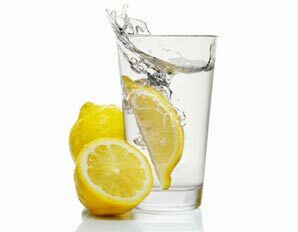 Drink Warm Water with Lemon – The hydrating power of pure water is largely beneficial on its own, but when matched with a few slices of nutrient-packed lemon, warm lemon water can empower your health through boosting your energy, helping to improve functions of the digestive system, and even be a powerful ally in your quest for natural fat loss. It’s atomic composition is similar to that of saliva’s and the hydrochloric acid of digestive juices. Take care of Inflammatory Issues – Inflammation is one of the most common causes of poor digestion and overall gut health. Sugar is the main culprit behind the causes of inflammation, so sugar consumption should be reduced drastically. The only way to reduce sugar consumption is to count the grams of you sugar consume daily, and ultimately limit the number to ~25g. In addition, vitamin D, magnesium, quality fish oil and turmeric can help with inflammation. Taking care of digestive issues is also one of many ways to improve mental health and clarity. Drink More Water – The digestive system needs to be well hydrated like the rest of the body, but downing glasses of water near mealtime will impair digestive strength and may cause upsets. Water is best sipped lightly during a meal. Otherwise you should get your water in at least 15-30 minutes before a meal and preferably at least an hour after. This is also a basic technique to improving functions of the digestive system. 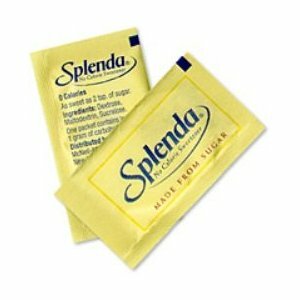 Avoid Splenda – Ghrelin is your stomach’s appetite signal. While it has many roles, it also releases a growth hormone that repairs the body. Ghelin levels increase in response to digestive distress. With the increase in ghelin levels comes the increase in appetite, causing you to eat more food. Splenda’s link to a digestive imbalance means that this process will occur, ending in weight gain. Elevated ghelin levels increase your cravings for sugar and carbohydrates, causing you to eat an excess amount of food that goes through an already-distressed digestive system. If you have these cravings, then it’s time to fix your digestive system. 1) Consume adequate amounts of calcium. Men and women between the ages of 18 to 50 need about 1,000 mg of calcium per day. Women over age 50 and men over age 70 should increase that total to at least 1,200 mg per day. This equates to 4 servings of dairy products such as milk or yogurt. If you don’t consume dairy products, consider fortified soy products or soy milk, and dark, leafy green vegetables (broccoli is my personal favorite). To ensure your calcium intake is adequate, consider a calcium supplement. Supplemental calcium is best absorbed when consumed in amounts of 500 mg or so and taken with a meal. 2) Get plenty of vitamin D. Vitamin D is absolutely essential for your body to absorb and utilize calcium. Recent studies suggest up to 80% of adults may have insufficient vitamin D levels in the blood. This may be due to a number of factors. Although scientists don’t know exactly what the optimal daily intake of vitamin D is yet, a good starting place is between 1,000 and 2,000 IU per day, and I urge all adults to ask your doctor to run a vitamin D blood test. 3) Exercise, exercise, exercise. It not only helps build strong bones, but it slows down bone loss. Strength-training exercises that work your upper body—your arms and upper spine—are great, especially when combined with weight-bearing activities such as walking, jogging, and stair-climbing that work your lower body—including your lower back, hips, and legs. Osteoporosis is not an inevitable part of getting older. Although some risk factors—such as age, race, and family history—can’t be changed, it’s never too late to start improving your eating habits, increasing your exercise levels, and taking supplements to help maintain your bone strength and integrity.